One of my favorite real estate investment strategies that works well in Sweden is Book-Sell (read here about Buy-Repair- Sell and Buy-Rent- Sell ). Book-Sell involves new construction projects where you book, for example, an apartment at a planned building site and sell it before the house and apartment are even finished. There are a lot of construction companies out there with a long-standing history of building and doing business. First you need to locate a building project. Search the net and you’ll find what you’re looking for. Next, after finding a suitable project and location, contact a broker about selling you one or more of the apartments. Once a real estate firm has accepted you as a client, you will need pay anywhere from 20k – 50k (SEK) as a booking fee, then 8-10 months later you will be required to pay and extra 80k – 100k (SEK) to secure the ownership of the real estate (binding agreement). Booking details vary with different construction companies, but for the most part, they are all very similar. (Pros) Booking is an attractive transaction because it gives you the ability to sell the real estate before actually buying it (at market price). By doing this, it opens up crazy ROI possibilities (See examples below). Some construction companies try to prevent “reselling” the apartment before it is finished, but banks on the other hand have no problem with it. You don’t have to take out a loan for an apartment on the day you book it—you can wait up until the keys are handed to you. In some countries you have to take out a loan from the day of actual booking, which makes you a high risk investor, but not in Sweden. Construction companies are stable and have good reputations—No bank loans, no tenants, and no maintenance makes this option appealing… you just wait while an apartment is being built just for you. (Cons) There are a lot of active construction companies out there and it takes a good amount of time to research each one of them. However, a new start-up known as Hoam.ly is here to help. 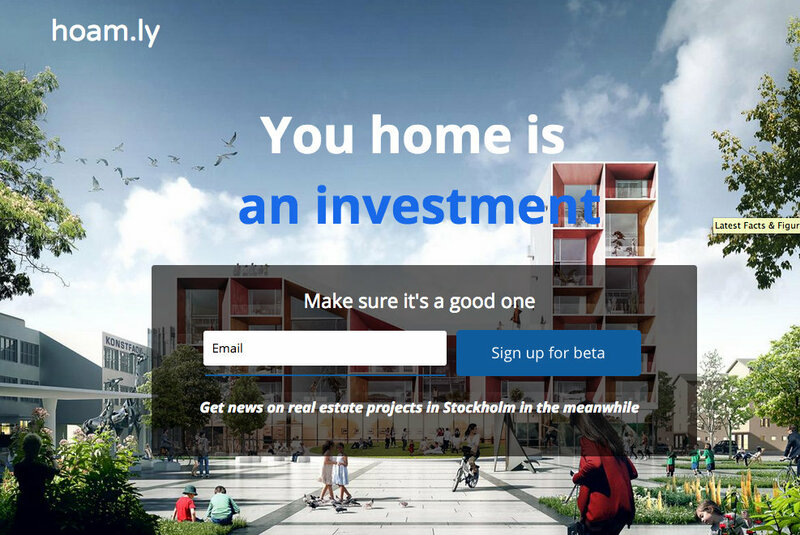 They list all new building projects in Stockholm allowing potential investors to save time (and money)! Their full version website will be available in a couple of months, but signing-up is available now. In January 2014 a construction company announces they are going to build two multi-unit apartment houses in Solna, near the Västra Skogen metro station. Mrs. Wise decides to book a 1.5 room (37 square meters) 4th floor apartment for the price of 1,820,000 SEK. Mrs. Wise pays 100,000 SEK in booking fees then decides to sell the apartment before its completion. 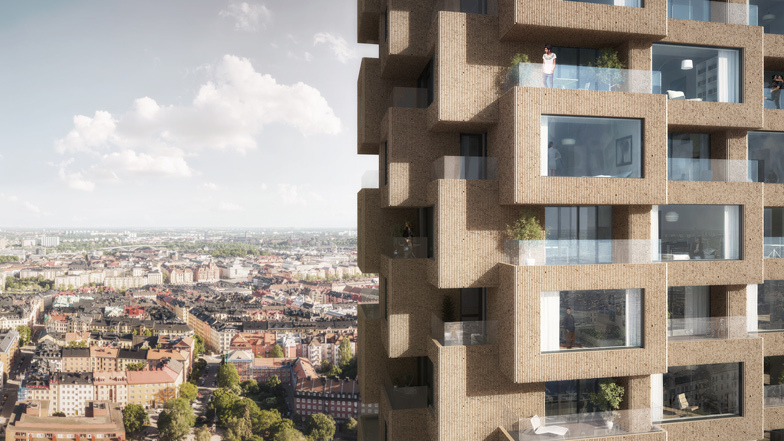 At a market price of 63,000 SEK per square meter, Wise can sell the unit for 2,331,000 SEK—she makes 511,000 SEK AND gets back the 100k booking fee! Then she pays 22% in taxes on the 511,000 SEK gain, which is 112,000 SEK. Net profit= 398,000 SEK! ROI= 398,000/100,000 x 100%=339% for 1.5 years, or 266% per year. Yikes! Good to know—Prices vary based on location and floor when you book an apartment, but most people are focused on square meters when they bay an apartment in already finished building. Same time, same house, but Mrs. Smart books a bottom floor, 2- room, 51 square meter apartment which costs 1,940,000 SEK. It is the cheapest two-room apartment in the building because it’s on the bottom floor. She then sells it in July of 2015 for 3,075,000 SEK, making slightly over a million before taxes…..
Can you calculate Mrs. Smart net profit and ROI? it appears that the price for sq.m for the new construction projects is actually above the price for sq.m of the appartmetns that are on sale on hemnet in the same area. What is you view, will these new appartments still be possible to sell at a premium to the price at which they were booked, considering the already higher sq.m price and that the “avgift” in the new houses are more expensive than in the older ones. Hi, what you see on Hemnet is a starting price. After the bidding war the price per square is higher. You need to take under the consideration that not every apartment sold in Sweden appears in Hemnet’s statistics. The bigger is apartment, the lower is per squre meter price, plus the apartment condition plays a huge role. The avgift does not vary that much. maximum 1500 sek per month more. Usually Internet and water, electriciry bill is included in new build avgift already.